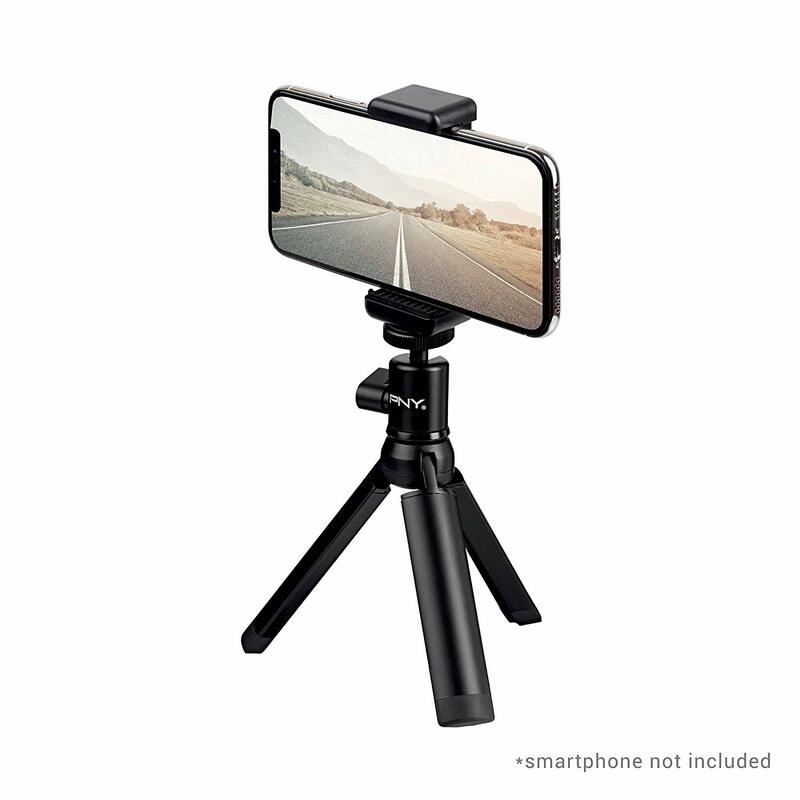 If you're looking for a compact tripod for your smartphone, PNY might just have the thing as they've released a reasonably priced tripod/wireless remote combo. The stainless steel universal tripod tucks neatly into a bag, can be used in portrait/landscape orientation, features a 1/4 screw and is height adjustable from 15-22cm. The wireless Bluetooth remote helps to free your hands when taking those group shots and has a reach of up to 10 meters. The PNY Universal Tripod and Wireless Remote are available on Amazon for £39,99.